North Dakota is located in the Midwestern portion of the United States, and it was admitted into statehood in 1889. It is the nineteenth-largest state by total area and the fourth smallest state by total population. A French explorer came to the area in 1738 and expanded existing villages into trading spots, and the area further expanded with the railroad coming through. North Dakota is considered to be a very safe state with violent crime rates that are well below the national average, and the state has a strong economy to support it. The state of North Dakota is home to a few larger cities and metropolitan areas along with several very large rural areas. You'll also find smaller communities dotted along the state. As the state has a lower crime rate and a lower unemployment rate than the national average, this makes it a very safe state to reside in or raise a family. However, the larger rural areas can make it more difficult to find steady employment unless you work in a niche industry. The people are very friendly here, and you'll have a more laid-back lifestyle even in the larger cities. This tight-knit community feel is also prevalent from the smaller communities to the larger cities. People move to North Dakota for its varied and thriving economy. The state as a whole survived the early twenty-first-century Great Recession very well due to a natural resource boom with the oil extraction field leading this economic upturn. 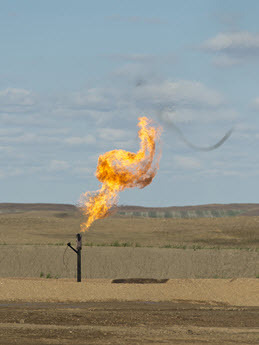 This created thousands of jobs in the northwestern part of North Dakota. The state's low crime rate also draws people here to stay, especially people with young families that want steady employment and a safe place to live. Finally, people are drawn here for the various educational opportunities, as there is a broad range of colleges and universities to choose from. However, people also move out of North Dakota for several important reasons. The cost of housing and living in the state is slightly higher than the national average, and this can send people to other states looking for a more affordable living. Additionally, there are jobs available, but they may not be as high-paying or have as many opportunities for advancement as people would like. Also, there are jobs available, but people with niche degrees may find it difficult to find employment as a large portion of the economy is dominated by the oil extraction industry. The boom and bust nature of the oil industry also can make it hard for people to set down roots. North Dakota is attractive for younger people who want a taste of what living in the bigger cities can bring, but they don't want to lose the small town feel the state has. Younger families also come here to settle down and raise their children as this is a very safe state with very good school systems. Outdoor enthusiasts are another demographic who love the state because it is home to excellent hunting, fishing, and outdoor activities that you will not find in densely populated states. As a whole, North Dakota housing market didn't fall during the broader housing market collapse, and this is completely opposite of the majority of the nation. The first quarter of 2005 was the first time the housing market started to show signs that something was wrong because it went from a steady climb to several gradual peaks and drops. The first gradual peak started during the first quarter of 2005, and it peaked and fell away slightly by the first quarter of 2006. The market immediately went into another gradual peak that dropped slightly once again during the fourth quarter of 2006 and again during the fourth quarter of 2007. From the first to the third quarter of 2008 the market plateaued only to end with another very gradual peak that brought the market's high point during the fourth quarter of 2009. Once the market hit its highest point, it plateaued until the third quarter of 2010 when it started to rise at a steady pace. This steady pace continued until the first quarter of 2012, and this period marked the start of a rapid increase in the housing market. The fourth quarter of 2012 and the third quarter of 2013 brought slight peaks that quickly leveled off, and the market continued to rise. This pattern of peaks and leveling off continued with peaks during the fourth quarter of 2014 and the third quarter of 2015. The market dropped slightly during the first quarter of 2016, but it rose to a slight peak and continued its upward trend. North Dakota's housing market has been in higher numbers than it was before the housing market crash since the second quarter of 2010. The shale energy boom in the Bakken & other developments across the state had put a floor under home prices across many parts of the state. The boom and bust commodity cycle has a bigger impact on local real estate rents & prices than the broader economic trends across the rest of the country. Shale oil production costs dropped significantly after oil prices fell, though fluctuations in demand has increased rents in cities like Williston by a factor of 2, 3 or more. In 2014 rents in Williston were the highest in the nation – costing around 30% more than renting in the San Jose & San Francisco metro areas. Williston's economy is highly reliant on the oil industry & it's population has nearly doubled since 2010 due to the shale oil boom. In comparison, Fargo's housing market had a much rockier period right before and after the housing market collapse, but it also didn't have a dramatic fall like the majority of the nation. The second quarter of 2005 showed the market beginning to experience trouble when it went from a steady climb to a sharp plateau that lasted until the first quarter of 2006. This plateau brought a slight peak in the second quarter of 2012 that had a short, gradual fall that went into another slight peak in the first quarter of 2007. From this time until the first quarter of 2008, the market experienced a gradual rise that ended in another short, sharp peak. This peak fell, and the market began on a series of gradual rises that ended with the housing market hitting its highest peak in the fourth quarter of 2010. This peak fell sharply until it hit its lowest point during the second quarter of 2011. Once the market hit the low point, it rose by the third quarter of 2013 into another sharp peak that gradually gave way to yet another peak during the third quarter of 2012. The fourth quarter of 2012 marked the start of a steep but steady climb for Fargo's housing market until 2014 when the market switched to a steady climb and a slight plateau. This plateau ended in the first quarter of 2015, and the market went on a steep rise once again until the third quarter of 2015 when it hit a short plateau. This plateau ended, and the market rose at a sharp pace once again until it plateaued during the start of 2016. Since the start of 2017, the market is once again on a rapid rise. Fargo's housing market has been higher than it was before the housing market crash since the second quarter of 2012. The 1990s brought stability to North Dakota's housing market. The real estate market was already on a steady climb, and it continued on this track with a few very gradual peaks with no significant falls. The fourth quarter of 1995 changed this trend when the market went into a sharp peak that fell away by the second quarter of 1996. The third quarter of 1996 brought a slight plateau that ended during the second quarter of 1997 when the real estate market started to climb once again. North Dakota's housing market went on a very gradual climb that dropped away slightly during the fourth quarter of 1999, and the market entered the 2000s on a steady upward trend. The first quarter of 2001 brought the market to a slight peak that quickly leveled off and continued to climb at a more rapid pace. This continued until the second quarter of 2002 when the market started on a gradual increase that lasted until the first quarter of 2003. This point brought a period of rapid climbing that lasted until the housing market started to show signs of trouble during the first quarter of 2005. Fargo's real estate market entered the 1990s on a rocky upward trend that hit its first small peak during the first quarter of 1992. This peak fell away slightly, and it rose into another gradual peak during the third quarter of 1993. This peak fell away as well, and it rose into a high, sharp peak in the third quarter of 1994. This peak also fell away sharply, and the market started on a steeper climb. The third quarter of 1995 brought a slight peak that rose into a higher peak during the first quarter of 1996. This point fell until the second quarter of 1996 when it started on a more gradual descent that lasted until the first quarter of 1997. This quarter brought the start of a gradual rise and fall that hit a low point during the first quarter of 2000. Once Fargo's real estate market hit this low point at the beginning of the 2000s, it started on a climb that saw a slight peak during the first quarter of 2001. This peak gave way to a steep climb that lasted until the second quarter of 2002 when the market slowed down slightly. It then went into a gradual rise and fall that hit a high point during the fourth quarter of 2003. This high point went into a steep climb that slowed down dramatically during the first quarter of 2005. After the fallout from the 2008 great recession, the prices of homes in North Dakota have declined by 20 to 30%, depending on which part of the state one focuses on. The rural parts of the state have remained more stable, but the highest concentration of highly valued home is around the two largest cities, Fargo and Bismarck. The interesting phenomenon in North Dakota is the large portions of the state have revealed no homes on the marke during the downturn. This is explained, in part, by the unpopulated areas of the state, but the other, more interesting explanation, is that the state is very stable. This information gives experts two primary clues: on the one hand, residents may have attempted to weather the storm; on the other hand, a lack of active homes for sale means that data is more likely to be skewed. The boom in fracking oil and natural gas resources has caused a significant increase in rents around energy exploration areas like the Bakken Shale formation. Over the last 20 or so years the ownership rate across the state has been quite close to the national average. In 2016 North Dakota homeownership stood at 63.5% compared against a national average of 63.6%. Most nearby states with significant rural populations have far higher ownership rates than the national average, but the heavily reliance on the commodity markets within the state make it far easier for institutional investors and large landlords to weather the ups and downs of the market than individual families who feel it could be risky to finance a home for 30 years when the local commodity extraction market could head south at any point during their loan. Fargo is the largest city in the state, and it has a population of 120,762 people. This population accounts for nearly 16% of the state's total population count. The city was founded in 1871, and it is located on the Red River of the North floodplain adjacent to West Fargo. Fargo is part of the larger Fargo Metro, which combines with Moorhead to host a population is 238,124 people. Fargo is billed as the educational, healthcare, cultural, retail, and industrial center for parts of Minnesota as well as eastern North Dakota. This leads to a very diverse and robust economy with several large supporting sectors. Historically, the economy was largely dependent on the agriculture sector, but it has evolved over the years to become very diverse and strong. A humid continental climate zone is what you'll get with this city thanks to its location out on the Great Plains with no large bodies of water of mountain ranges to temper it. The winters here are frigid, and they're ranked as some of the coldest in the United States with temperatures around zero degrees. Summer brings temperatures in the high eighties along with frequent thunderstorms that can be severe. You'll find a broad range of cultural events, museums, and points of interest in and around Fargo, and a lot of these events are due to the city's proximity to three large universities. Tourist can come and see a performance at the Fargo-Moorhead Community Theatre, or they can take in a performance by the Fargo-Moorhead Symphony Orchestra. The Fargo Park District runs throughout the city, and it has various golf courses, neighborhoods, and small parks to visit. The city is served by the Fargo Public Schools District, and the western portion of the city is served by the West Fargo Public Schools District. There are also several private and charter schools in the city. For higher education, students can attend North Dakota State University, which has over 14,000 students. They can also attend Rasmussen College or University of Mary campus. The economy is dominated by the healthcare and the education fields, and this is represented by the city's top three employers. Fargo's largest employer is Sanford Health, and this system has over 6,000 employees. The second-largest employer is North Dakota State University with 4,450 staff members. Fargo's third-largest employer also comes from the healthcare field, and Essentia Health has 3,380 staff members. Fargo's economy is very strong, and it has a current unemployment rate that is over 2% lower than the national average, and it has also seen recent job growth of 2.5% to strengthen the economy further. In the coming years, Fargo is on track to add 42% more jobs to the economy as well. The local median home price for the city of Fargo is $217,900, and this price works out to $158 per square foot. These prices have increased by 0.7% in the past year, and they're projected to increase by another 1% in the coming year. The Fargo Metro has a local median home price of 259,900, and West Fargo's local median home price is $236,700. The second-largest city in North Dakota has also been ranked as the seventh fastest growing city in the nation, and Bismarck has a population of 72,417 people. It is also the state capital of North Dakota, and the city was originally founded in 1872. 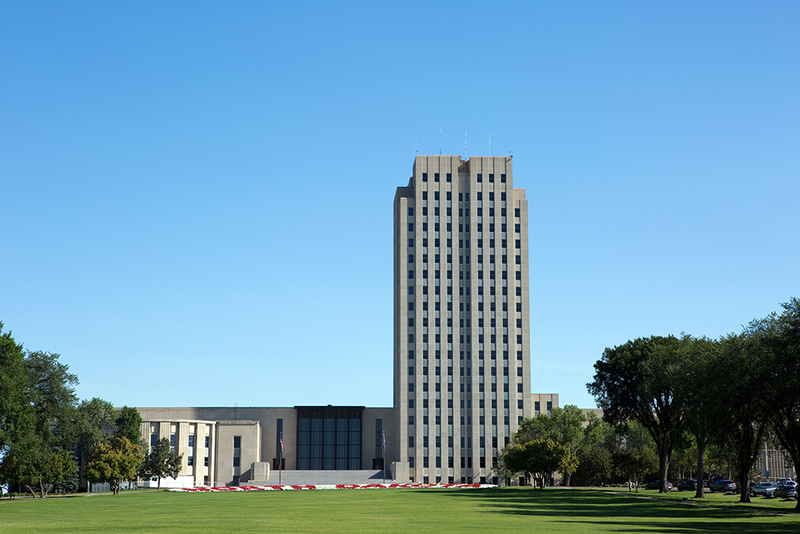 It became the state capital since 1889 when North Dakota was admitted into statehood. The Bismarck Metro has a population of 131,635 people, and the city makes up this Metro's core. 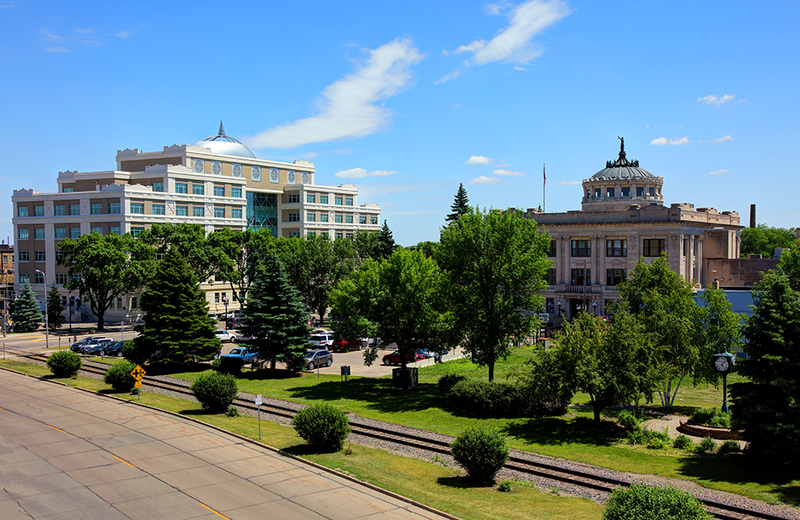 As this is a capital city, Bismarck's economy is heavily influenced by the state and Federal government. It has also evolved into the healthcare and retail hub for both south-central North Dakota and north-central South Dakota. Education and manufacturing also play a large roll in the city's economic health, which is performing well. Bismarck is also located out on the Great Plains, and this helps to give it a four-season humid continental climate zone with very strong semi-arid climate zone influences. The summers are typically very hot and humid with thunderstorms happening in the early summer months. The late summer and the early fall months are usually very dry and hot. The winters are usually very cold, windy, and snowy with temperatures well below the freezing mark. This city has a diverse arts scene, and you can visit the Belle Mehus Auditorium, as it is the center for the arts in Bismarck. The Northern Plains Dance group puts on several performances each year as well. Additionally, the Missouri Valley Chamber Orchestra was formed in 2000, and it puts on several different musical events throughout the year. Outdoor recreational activities are also plentiful in this city including world-class hunting and fishing opportunities. More local attractions are listed on the local tourism website. Bismarck Public Schools is the main school district for Bismarck, and it has 10,400 students enrolled. There are sixteen elementary schools, three middle schools, two high schools, and one alternative high school in this system. Bismarck State College is a public two-year college that operates in this city, as well as the University of Mary. Students can also attend the United Tribes Technical College. The largest employers reflect this city's more diverse economy, and the biggest employer is the State of North Dakota with 4,400 staff members. The second biggest employer in the city is St. Alexius Medical Center, and this medical system has 2,260. The third biggest employer is Bismarck Public Schools with 1,800 staff. Bismarck's economy is very strong, and its unemployment rate reflects this as it is over 2% below the national average. In addition to this, the city has also seen job growth of over 2% in the past year, and over the coming ten years, the local economy is slated to add 42.5% more jobs. The city's local median home price is $263,400, and this averages out to a price per square foot of $190. These prices have decreased over the past year by just over 1%. However, they're projected to go up by 2.7% in the coming year. The Bismarck Metro has a local median home price of $279,900. Grand Forks is the third biggest city in North Dakota, and it has a population of 57,339 people. This city is located in a flat region of the Red River Valley, and this makes it prone to flooding. In 1881 the city was incorporated, and it was founded on the fur trading industry as an important trading post. The Grand Forks Metro has a population of 102,703 people. The local economy isn't dominated by one sector in particular, but it still has strong ties to the agricultural industry. The economy has several important private and public employers, and these include defense, education, retail, healthcare, food processing, and manufacturing. This economy continues to evolve and add more jobs as the years go on, which helps to strengthen it further. Grand Forks also has a humid continental climate zone due to its more open location. This city is known for its four very distinct seasons along with its extreme temperature fluctuations. The city is routinely exposed to very severe weather conditions including frigid arctic air. The winters are very cold and snowy with temperatures in the teens, while summers are hot and humid with temperatures in the nineties. There is a variety of art and cultural events held year-round in Grand Forks, driven in large part by the University's influence. You can visit the North Dakota Museum of Art, and take in one of the national touring exhibits. The Greater Grand Forks Symphony Orchestra puts on dozens of shows each year, and it has been active since 1905. During the summer months, the Summer Performing Arts Company hosts three concerts throughout the city. The official local tourism website lists hundreds of events under their things to do section. The Grand Forks Public Schools system encompasses two school districts and it has over 7,500 enrolled students. It is home to twelve elementary schools, four middle schools, and two high schools. The University of North Dakota is the oldest higher education institution in the state, and it is one of the only law and medicine school in the state. Students can also attend the Northland Community and Technical College. The top three employers in Grand Forks showcase the city's diverse economy, and the biggest employer with 4,120 staff is Altru Health System. The second biggest employer is the Grand Forks Air Base, and it employs 4,110 people. Finally, the third biggest employer is the University of North Dakota with 2,850 staff. Grand Forks is another city that has a strong economy, and its unemployment rate is well below the national average. The city has also seen recent job growth of over 1.2% over the past year. Over the next ten years, the city is looking to add 39% more jobs to strengthen the local economy further. The local median home price for this city is $149,800, and this works out to an estimated square foot price of $135. These prices have declined over the past year by over 14%, but they're predicted to rise by 4% over the coming year. The Grand Forks Metro has a local median home price of $155,000. Minot claims the spot as the fourth biggest city in North Dakota with a population of 48,743 people. Minot was founded in 1886 when the railroad came through the area, and it quickly earned the nickname of the “Magic City” because of its remarkably rapid growth and development. 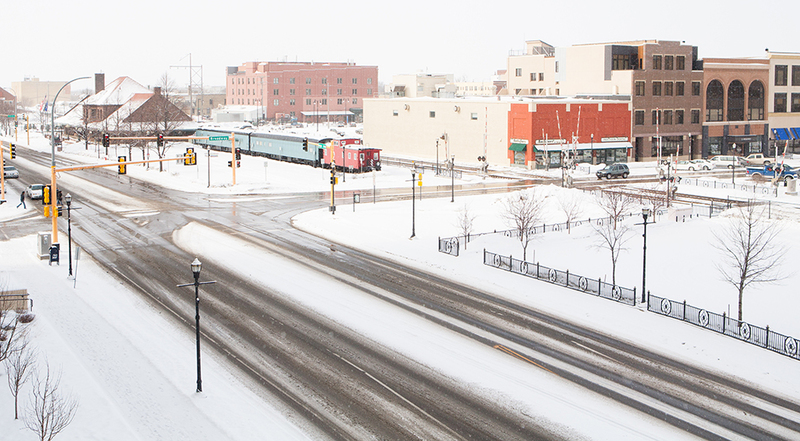 Minot is part of the larger Minot Metro, and this Metro has a population of 78,723 people. Minot has established itself as the trading center for a large part of the state of North Dakota as well as southeastern Saskatchewan and southwestern Manitoba. The economy also relies heavily on the government sector, and this is followed closely by healthcare, education, retail, manufacturing, and the railroad industry and shipping. All of these sectors make up a very diverse economy with a broad range of jobs. You'll experience a humid continental climate zone with this city that includes four seasons with longer summers and winters. The summers are very hot, and they can also be humid with July temperatures in the nineties. The winters are very cold with moderate amounts of snowfall and January brings temperatures in the low twenties. Additionally, the start of the summer months are usually wet with thunderstorms, and the late summer months are very dry. 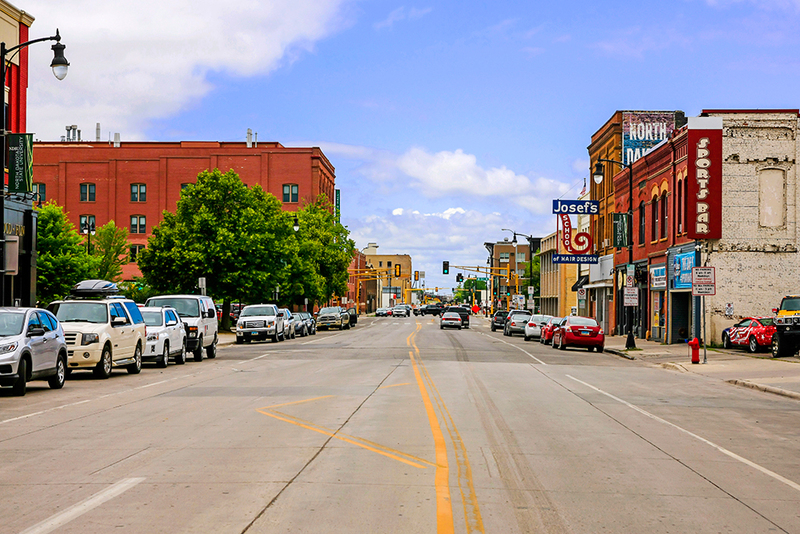 Minot has a large arts community, and there are also several museums, festivals, tourist attractions, and points of interest throughout the city. The city is very proud of their Scandinavian heritage, and they showcase this each year at the Norsk Hostfest music festival. The Minot Area Council on the Arts claims over forty separate organizations, and you can visit the Minot Park District. This district has a variety of smaller parks, outdoor spaces, and public gardens throughout the city. Minot Public Schools District serves this city, and it has ten elementary schools, three middle schools, and one high school that it splits between two campuses. There is also a variety of charter and private schools to attend. For secondary education, students can attend the third-largest higher education institution in the state, and this is Minot State University. The government has the largest economic input in this city, and Minot Air Force Base has around 6,700 employees. The second biggest employer in Minot is Trinity Health, and this healthcare system has 2,050 staff. Finally, the third biggest employer in the city is currently Minot Public Schools District with 1,020 staff members. Minot's economy is doing extremely well, and it has an unemployment rate that is way below the national average. It has also seen job growth of just under 1% in the past year, and it's estimated that the city will add 33% more jobs to the local economy over a ten-year span. The local median home price for Minot is $208,400, and this price averages out to a square foot price of $135. These prices have decreased over the past year by just under 1%, but they're projected to rise by 2% in the coming year. The Minot Metro has a local median home price of $214,900. Find the Good Life in North Dakota lists local housing resources for many cities across the state including Dickinson, Williston, Jamestown, Devils Lake, Watford City, Wahpeton & Valley City. 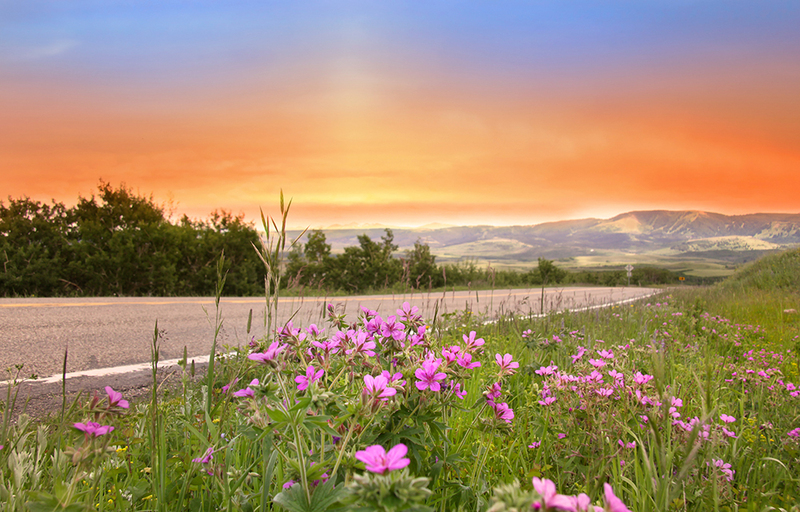 According to the United States Census an estimated 757,952 people live in the state of North Dakota. The state has 69,000.8 mi² of land area, which gave it a population density of 10.98 per mi². Here is a list of cities, towns & Census Designated Places with more than 100 residents, with their estimated population as of June 2016 & the 2010 United States Census. For Census Designated Places (CDP) where there was no population estimate available for 2016 the 2011-2015 American Community Survey 5-Year Estimates data was used. As of 2019 the conforming loan limit across the United States is set to $484,350, with a ceiling of 150% that amount in areas where median home values are higher. High local affordability makes the $484,350 ceiling apply statewide for single unit homes. Dual unit homes have a limit of $620,200, triple unit homes have a limit of $749,650 & quadruple unit homes have a limit of $931,600. Residents buying premium properties in the Fargo metro area may be above these thresholds, requiring a jumbo loan. Jumbo loans typically have a slightly higher rate of interest than conforming mortgages, though spreads vary based on credit market conditions. Several different types of home loans are available in the Peace Garden State. Fixed-rate loans are very common, and the terms include thirty, twenty, fifteen, and ten years. The longer the life of the mortgage, the lower the monthly payment will be, which is why the 30-year loan is the most popular. The downside of this, however, is that the APR is higher compared to shorter-term loans. The difference can be as large as a full percentage point. The FirstHome Program is a mortgage assistance program designed by the North Dakota Housing Finance Authority, and it is aimed at low or moderately low-income applicants. The program provides funding for eligible applicants to help them secure a lower interest mortgage that comes with a 30-year fixed-rate term. With this program, applicants are required to meet several eligibility requirements, and they're not allowed to own a home in the past three years. The program also has income limits that vary due to household size and the county's limits that the person wants to purchase the property in. These income limits range from $77,600 to $88,300 for a family with three members or less, and from $89,240 to $101,545 for a family with over three members. Additionally, applicants have purchase limits on the property they want to buy, and this fluctuates by county also. The HomeAccess Program aims to provide funding for low or moderately low-income households that are either a single parent or who have disabled, elderly, or veteran members of the household. Applicants for this program are not restricted by previous home ownership either. To be eligible for this program, the applicant must be a single parent with a child dependent that is with them at least 50% of the time, be the spouse or military personnel with an honorable discharge, or have an elderly or permanently disabled dependent. Applicants must meet income limits that fluctuate from $77,600 to $88,300 for a family of three and under or from $89,240 to $101,545 for a family with over three members. There are also purchase price limits on the property that ranges from $253,809 to $525,314. The Targeted Area Loan Program provides funding in the form of reduced interest rate loans for low or moderately low-income households to purchase a property in the targeted areas. The targeted areas are currently restricted to Benson, McKenzie, Rolette, and Sioux Counties in North Dakota. Any applicant will have to meet income limits that vary by family size and county. Applicants must also supply a projected income statement for the following year, and they don't have the first-time home buyer restriction. They also have to fall between purchase price limits for the property they wish to buy and plan to live in the home as their primary residence. Many cities and counties across the state also offer local programs worth exploring. Homeowner's insurance policies typically do not cover flooding. Most of the state of North Dakota is considered to have a very low flooding risk. Cass County, home of Fargo, is considered to have a moderate flooding risk. Ransom County, home of Lisbon, is considered to have a very high flooding risk. The eastern border of the state is considered to have a moderate tornado risk. A basic homeowners policy should cover financial damages from tornadoes. On average, property owners who have a property with an assessed market value of $116,800 can expect to pay around $1,658 per year. This averages out to 2.67% of the property owner's annual income. However, these prices fluctuate by county, and Cass County currently collects the highest property taxes per year at $2,762 per property. Billings County currently collects the lowest property taxes per year at $365 per property. Both property taxes and median single-family home values are lower in the state of North Dakota than the national average. In 2016 North Dakota charged single-family homeowners a property tax rate of 1.11% on a median home value of $227,882, yielding a median assessment of $2,539. In Fargo the median assessment was $2,696. The national average property tax rate was 1.24% in 2016, costing single-family homeowners $3,313 on a median home price of $279,715. When a property owner has a financial hardship, and they're in danger of losing their property to foreclosure, they can claim a portion of the property as a Homestead Exemption. If they do this, the portion of the property is safe from creditors who would seize the property to satisfy the homeowner's debts. North Dakota has a generous Homestead Exemption, and a property owner is legally allowed to claim up to $100,000 as a homestead. Married couples are not allowed to double this amount, and the homestead is usually restricted to a home, house trailer, or a mobile home. The property must be free of any liens, and the person who claims the homestead must live in the property as their primary residence. Traditional Mortgages – Under the most common type of mortgage in the United States, a lender supplies the borrower with the money needed to by a property and then places a lien against that property until the debt is retired. The lender is known as the mortgagor and the borrower is known as the mortgagee. In the event of a default, these parties have opposing interests and must involve a court to resolve the dispute (see the discussion of judicial foreclosures below). This is the only type of mortgage available in North Dakota. Other types of mortgages, specifically deed in trust mortgages, are not permitted in North Dakota. This means that only judicial foreclosures are permitted (see the section on foreclosure below). This is important to understand, because it affects the types of mortgages available to some extent. It also has a dramatic affect on foreclosure procedures and the recourse available to lenders when borrowers default. The state of North Dakota requires its mortgage lenders to go through the judicial process in order to foreclose on a property. This means that the mortgage lender is required to sue the property owner once they default on their mortgage in order to start the foreclosure process. The judicial process can be more drawn out, and the mortgage lender has rules they have to follow to the letter for the foreclosure lawsuit to be valid. North Dakota is also a recourse state with restrictions, and this means that the mortgage lender can sue a defaulted borrower for any deficiencies they may incur after a foreclosure sale. However, the restrictions on this are rather large, and if the mortgage lender intends to sue for a deficiency judgment, this must be part of the original foreclosure lawsuit. A mortgage lender is not allowed to sue a defaulted property owner if the property that was foreclosed on is a residential property that has four units or less and it sits on 40 acres or less, and the property owner occupied one of those units, a deficiency judgement isn't allowed. If the property was used for agricultural purposes and it consists of more than forty acres, the mortgage lender is limited to a deficiency judgement of the difference in the outstanding mortgage debt minus the property's fair market value. Any other deficiency judgements are limited to the outstanding mortgage debt minus the property's appraised value. North Dakota is a lien mortgage state which means that lenders must use judicial foreclosure to move against the property of a defaulting borrower. This means that the process is judicial and requires the involvement of a court. The process begins when the lender files a complaint against the borrower. The process can be expensive and time consuming, which works in favor of the borrower because it gives him or her time to address the issues. The documents involved in the foreclosure procedure can take as long as 150 days to be processed. This is advantageous to the borrower because it may afford him time to find a way to either cure the default or to negotiate a settlement with the lender. In North Dakota, the right to redemption last for one year. This right gives the homeowner the right to redeem the loan buy purchasing the home from the buyer at the price paid. This is one of the many protections given to borrowers. While it may seem unfair to hold this right open for a year, it is rarely used. A homeowner who could not stay current on his or her mortgage is unlikely to come up with the full purchase price, even given an entire year. Furthermore, another lender is unlikely to help the defaulting homeowner exercise this right. North Dakota is a recourse state, meaning that the lender can go after the borrower for the full amount of the loan’s principal if the sale of the property does not cover the needed amount. This is referred to as a deficiency judgment. The only requirement that a lender is under to receive a deficiency judgment is to give notice in the original complaint of its intention to seek such a judgment if necessary. Check out the following resources to learn more about the North Dakota real estate market.